How much compensation can I claim for a Taxi accident? When we get in a taxi, we expect to be taken from A to B. We do not expect to be involved in an accident. If you were in a taxi or a minicab, and a crash occurred, you will be able to seek compensation for the injuries you have sustained. In fact, you are advised to do so. After all, why should you have to suffer because of an accident that was not your fault? At Accident Claims, we have helped so many people to secure compensation when they have been involved in a road traffic accident, including cases involving taxis and minibuses. With our 40+ years of experience, you will struggle to find better. We always put our clients’ needs first, and we always aim to secure the maximum payout that is available. You can find out more about our service below, including our No Win No Fee approach, and our no-obligation consultation that we provide free of charge. What is a claim for minicab or taxi injuries? Can you claim for whiplash if you have been a passenger in a taxi accident? Who can sue for compensation if they have been involved in a minicab or taxi accident? Can you make a claim if you have been involved in an Uber accident or an accident involving any other type of ride sharing service? What scenarios can result in a compensation claim for a minicab or taxi accident? If you have been involved in a taxi passenger accident, what should you do? What damages can you claim for after a taxi or minicab incident? Why should you choose Accident Claims to work with? If you have been involved in a taxi or minicab accident, you will be able to make a claim for compensation so long as the incident was not your fault. This applies no matter whether you were a passenger, pedestrian, or you were in another vehicle. You can also claim if you were driving the taxi and you feel the company you work for were to blame for some reason. In this guide, we provide all of the details you require if you wish to make a claim for taxi or minicab accident compensation. This includes details on compensation payout amounts, taxi passenger insurance, how to claim, what you can claim for, and much more. You will also find our contact information at the end of the guide should you need to get in touch. A claim for a minicab or taxi injury means that you will pursue compensation because you have sustained injuries in a taxi accident that was not your fault. You will not only be compensated for the pain you have been subject to, but any financial losses you have experienced because of this. The most recent statistics at the end of March 2017 in England state that there were 356,300 private hire or taxi vehicle driver licences. You can read this Department for Transport annual report for 2016 for more information on road traffic accidents in the UK. In 2016, there were 24,101 people seriously injured in reported road traffic incidents. This is a significant number, and anyone injured when it was not his or her fault will be able to claim. Whiplash is one of the most common injuries suffered in road traffic accidents, and you can definitely make a claim if you have sustained this type of injury while in a taxi accident as a passenger. Taxi passenger rights UK wide state that all passengers have the right to high levels of health and safety, and if you have not received this, and you have sustained whiplash as a consequence, you can launch a claim for compensation. For those who are unaware, whiplash is an injury that is caused when the head suddenly moves forward, backwards or sideways in a violent manner. This often occurs in a road traffic accident. Common symptoms include pain in the arms and shoulders, muscle spasms, headaches, neck stiffness, difficulty moving your head, and neck tenderness and pain. When choosing a solicitor for a taxi or minicab accident claim, it is important to look for someone that works under the No Win No Fee approach. You can rest assured this is the case when you work with Accident Claims. This means that you will not need to make a large upfront payment to start the claims process. It also means that you are only going to pay legal fees if your case is successful. This provides you with a significant degree of financial protection, which is not available when working with a solicitor that charges hourly instead. If you have been involved in a minicab or taxi accident, you can sue for compensation, no matter whether you were driving, you were a passenger, or you were in another vehicle. The only stipulation is that you are able to prove that someone else is to blame for the accident you have been involved in. It is also important to be aware of the time limits that are on taxi claims. You have three years to make a claim from the date of the accident. You can claim on the behalf of a child under the age of 18-years-old if they have been involved, or they also have the opportunity to claim once they turn 18 if you have not claimed for them. Yes, you can most certainly make a claim if you have been involved in a road traffic accident while taking an Uber or using any other ride sharing service. All businesses have a responsibility to ensure their customers and employees are safe. If a ride sharing company has failed to do this, you can make a claim for compensation. There are many different situations that can result in a claim for taxi accident compensation. You can make a taxi driver accident claim if you were driving your taxi and someone else caused you to crash. Of course, you can also make a claim if you were the passenger in a taxi, and a crash occurred, no matter whether your driver caused it or the other driver caused it. If you were the passenger in a taxi and you were involved in an accident, it is important to take the required steps to build a strong case. So, what does this involve? Make sure you don’t say too much – In the heat of the moment, it can be very difficult to keep calm. This can mean you say too much. You could end up saying too much, which could mean you implicate yourself without even realising it. This is why the best thing to do is say as little as possible. See a doctor – It is vital to see a medical professional as soon as you can, even if you feel your injuries are minor. This is because you need the medical report provided by the doctor in order to make a claim effectively. Take photographs – If there has been damage at the scene, which is often the case, you should take some photographs on your mobile phone. Get the details of the taxi driver and the taxi company – It is important to make note of the driver, the vehicle, and the taxi company. Get witness contact details – You also need to get the contact information of any witnesses. Witness statements work as excellent evidence. Keep track of your finances – The final thing you need to do is keep track of all of your expenses related to the accident you have been involved in. This is so you can claim for all of these costs. If you have been involved in a taxi driver accident or you were in the passenger in a taxi accident, the process for claiming is the same. All you need to do is give us a call, and we will handle the entire process for you. We will begin every claim with a free consultation. You are under no-obligation to continue with our service by taking part in this consultation. It simply gives us the chance to ask you some important questions so that we can understand your case and advise you in the best possible manner. You can also ask us any queries you may have too. You will be pleased to know that we handle all cases on a No Win No Fee basis, as explained in further detail earlier on in the guide, and we can also sort out a medical for you, free of charge, at a location that is convenient. General damages – This is a term used to describe the payout you receive for the injuries you have suffered. It is designed to compensate you for your suffering and pain. To decipher the exact payout amount awarded, the medical report provided by your doctor is considered. This report states the injuries you have sustained, your prognosis, and the treatment you have been recommended. Special damages – Not only will you be compensated for the suffering and pain you have been the victim of, but you will also receive money for any out-of-pocket expenses you have been subject to because of the accident you have been involved in. For example, you may have need to pay for a child minder to look after your children while you recover. If so, you can claim for this. Other examples of special damages include loss of income, counselling expenses, the cost of parking at hospital, medication expenses, accommodation adaption costs, and so on. If you have been involved in a taxi or minicab accident, one thing you will want to know is how much compensation you could receive. Unfortunately, giving a definitive answer to this question is simply not possible. This is because every case is different, and they are handled as such. However, what we can do is inform you of the typical payout amount for common injuries associated with taxi and minicab accidents. This should give you a good understanding regarding how much money you could receive. Loss of benefits £5,000 - £500,000 If you have had to miss work due to the injuries you have suffered, and this has meant that you have lost income as a consequence, you can claim for this. In some cases, claimants have been able to secure more than the maximum amount that has been stated. Loss of anticipated earnings £10,000 - £400,000 If you are expected to miss work in the future because of your prognosis, you can claim for loss of anticipated earnings in the future. This will be calculated based on what you earn at present, as well as how much you may earn in the future. In some cases, claimants have been able to secure more than the maximum amount that has been stated. Severe neck injuries £34,575 - £112,750 If you have sustained soft tissue damage, or you have been the victim of a severe dislocation or fracture, you will receive closer to £34,575. Needless to say, a payout of £112,750 is for neck injuries of the highest severity, for example, permanent spastic quadriparesis. Moderate neck injuries £6,000 - £19,000 This is for dislocations and fractures that are of a lower severity than has been mentioned above. You can also receive a payout falling into this category if the taxi or minicab accident you have been involved in has exacerbated a condition you were already suffering with. 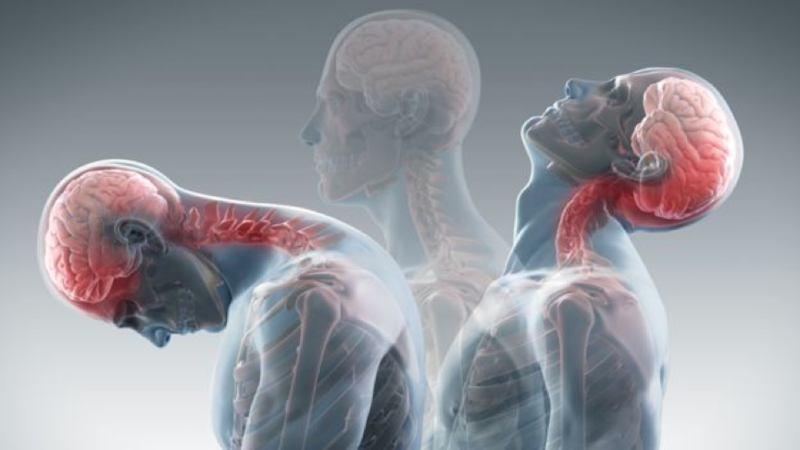 Minor neck injuries A few hundred pounds - £6,000 If you are expected to recover from your injuries within a couple of weeks or a couple of months, you will receive something around the few hundred pound mark. Aside from this, a number of different factors will be considered when determining how much you receive. This includes everything from the level of pain you have suffered to the different symptoms you have sustained. Severe back injuries £53,000 - £122,350 You will receive closer to the £53,000 mark if you have suffered a disc fracture, disc lesions, or a soft tissue injury that has caused a chronic condition. The higher compensation level is for cases of the highest severity, for instance, nerve root damage or spinal cord damage. Moderate back injuries £9,500 - £29,475 Ligament and muscle disturbance injuries will receive an amount closer to £9,500. The same applies to soft tissue injuries and cases of backache. Cases closer to £29,475 are for those involving residual disability, yet, of course, of a lesser severity than the category mentioned above. Minor back injuries A few hundred pounds - £9,500 If you are expected to make a full recovery within a couple of months, you will receive a payout of around in the few-hundred pound mark in most instances. Aside from this, many different factors will be used to decipher your payout amount. This could be anything from the treatment you require to the impact of the injuries on your ability to work. Minor head or brain injury £1,675 - £9,700 From the extent of the symptoms suffered to the severity of the initial injury, many factors are used to decipher how much money the claimant will receive. If there is any brain damage, there will only be a small amount. Less severe brain damage £11,650 - £32,700 How much compensation the claimant receives depends on a number of different factors. This includes the extent of the initial injury, whether there has been any change to the person’s personality, and if they have suffered depression. Moderate brain injury £32,725 - £114,100 A payout closer to £114,100 is for cases whereby the person has suffered intellectual deficit, as well as a significant change to their personality, and their senses have been impacted too. A payout closer to £32,725 is for instances whereby there is limited dependence on other people. Moderately severe brain injury £166,500 - £214,350 If you are to receive a payout that falls into this category, you will have been very seriously disabled by the accident. You will require professional care continuously. Very severe brain damage £214,350 - £307,000 When it comes to this payout amount, the individual will not have much, if any of all, meaningful response to the environment. The person will receive compensation based on their degree of insight, life expectancy, and their physical limitations. If you cannot find the injury you have sustained in the table above, please do not hesitate to give us a call for further clarity regarding the typical payout amount. If you have been injured in a taxi, and you wish to make a claim, it is important to choose a solicitor with care. You can’t go wrong when you select our service at Accident Claims. We are recognised as one of the leading personal injury law firms in the United Kingdom. We have helped many people to get the compensation they deserve for the accident they have been involved in. We also run a 24-hour accident claims helpline, meaning we are always here to help you should you need it. This is a free, no-obligation service, so you can rest assured that you are not held into any obligation by calling us with your queries. The number to reach us on is 0800 073 8801. You can also request a call back on our website too if you would prefer. This link takes you to a case study on a taxi crash that happened in central London whereby four people were injured after a taxi crashed into pedestrians. This link takes you to the UK Government website where you will find all road accident and safety statistics over recent years. Head to this link and you will find out more information regarding the reported road casualties in Great Britain in 2016. Significant statistics include that while there was a decrease of casualties of all severities when compared to 2015, there has been an increase in the number of road deaths.